Centreville Baptist Church acquired its 34-acre property in 1989, and over the years built a 50,000 square foot facility for its congregation. As they grew, they realized that a new worship center and additional classroom space was needed, but the site was limited by major gas and electrical transmission lines that crossed part of the site. 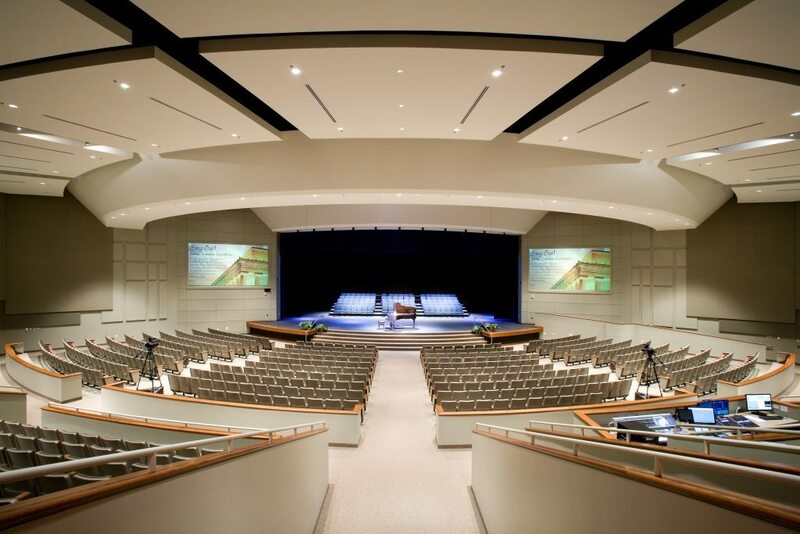 Helbing Lipp Recny Architects responded to their needs by designing a contemporary worship center for 1200 people, using a combination of flat and stepped “stadium seating” to make the large room feel more intimate. It features a 50-foot wide platform that allows multiple configurations and large video screens, one which rises to reveal the baptistery. 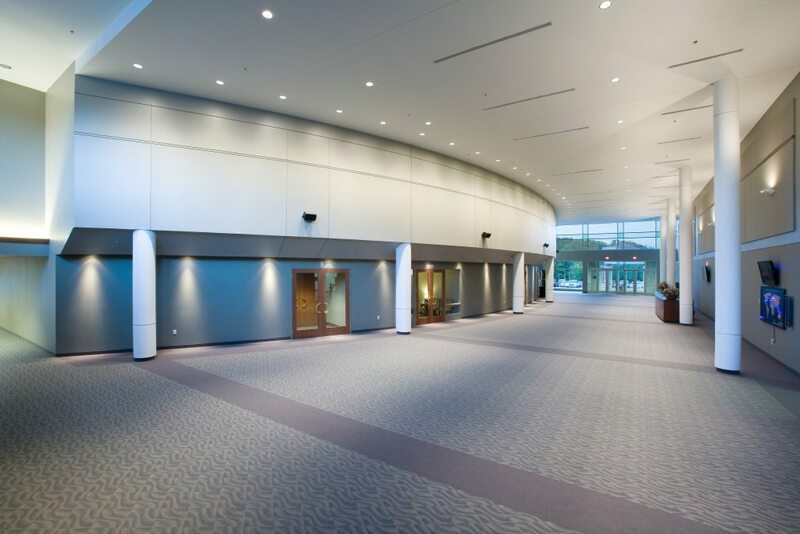 Outside the worship center there is a large gathering foyer that connects the main entrance, worship center, and a coffee lounge/bookstore. Below these areas, there are several large classrooms, and the church’s new music suite.